September 3, 2013, Hong Kong – After her win at Fashion One's London Correspondent Search, Stefanie Jones has gone packing, hops in a plane to embark on a journey of a lifetime. Our new correspondent gets to travel around the globe and takes you to the prominent restaurants, shops in unknown fashion boutiques, visits local's best-kept secrets and relaxes in 5-star spas while sharing her views on life, fashion and lifestyle. From art, food, lifestyle, fashion and everything in between, this is Stefanie's Travel Diaries. Stefanie started her journey in Athens where she basks in its rich history and modern art and culture. She will then show us how to live in the lap of luxury in the wine city, Bordeaux. Stefanie will also take us to her homecoming in the streets of London reintroducing the "real" hot spots from a local's perspective. "It's simply a dream come true. I get to combine my love of fashion with the excitement of traveling the world, discovering hidden hotspots and truly amazing brands. It's a great way to bring to life such wonderful countries to the Fashion One viewers at home," Stefanie excitedly exclaims. "We would like to showcase the unknown side of the well-known travel hot spots to our audience," shares executive producer, Ashley Jordan, "almost like an insider fashion and lifestyle guide to the cities. 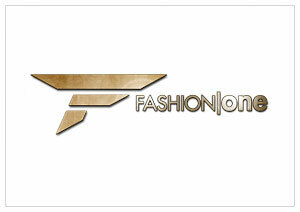 Fashion One is looking forward to introduce more luxury lifestyles and authentic cultures in different parts of the world." Stefanie's Travel Diaries Bordeaux episodes premieres on September 19, 2013 and will be shown every Thursday at 21:30 (for United Kingdom), 21:00 (for South Africa), and 22:00 (GMT+8 for Asia / GMT+2 for Africa and rest of Europe), exclusively on Fashion One. A re-airing of the Athens episodes will be shown on September 5 and 12 at the same time slots. Check your cable operators for your local TV channel listing. Stefanie's Travel Diaries is a Fashion One original travelogue series. The show is created by executive producers Michael Gleissner and Ashley Jordan, with Stefanie Jones, Maurizio Von Trapp and Lina Dau as series producers. To learn more about Stefanie's Travel Diaries and her destinations, please visit www.fashionone.com/StefTravelDiaries or post your comments on @fashion_one #StefTravelDiaries. From the world's premier international Fashion and Entertainment channel, audiences can expect an array of world-class programming, ranging from the latest trends and insights in the fashion industry, to exotic lifestyles and fashion destinations, plus a healthy dose of the latest news from Hollywood.